WELCOME to the twenty-seventh issue of the Bay City Post! -Keeping you updated on the best city on the grid. Hi Ever Dreamscape here, and I’m here to tell you all about our all new all improved totally awesome absolutely amazing biggest and best ever, you won’t want to go another year without one… of our very own Bay City’s… month of June! We’re gonna rock you we’re gonna roll you we’re gonna shake you up we’re gonna shake you down, we’re going to spin you right ‘round baby right round! We’ve got events inside the city, we’ve got events outside the city, and if that’s not enough we’ve got places to see, people to be, and incredibly… there’s always weeeeeee! So come to a rumble even if you tumble, espresso yourself or grab a book from the shelf, come to a meeting, there’s always a friendly greeting, have a cruise around town we won’t let you down, come snack on some cookies or pay off your bookie, it’s quite safe to say you can even role play. You say you want weather? Our windlight’s never better. You’re short on grief? We can offer relief. You like pretty prims? Come visit our sims. We’ve even got the freshest mesh around. Don’t miss out! Come enjoy your own, highly customizable, one size fits all - June! Unlike our competitors (we have competitors?) we won’t sell ya one, we won’t sell ya two, we won’t sell ya three,…. After all quantities ARE limited. 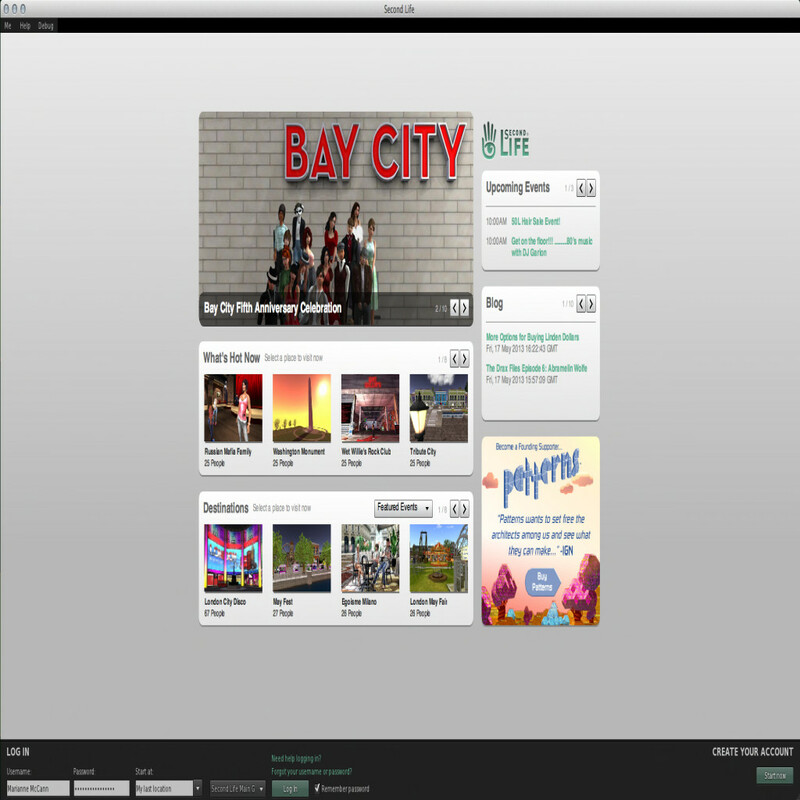 You just need your one and only totally awesome Bay City: two -thousand and thirteen edition- June! Get yours today! (Taxes and restrictions may apply, shipping and handling are extra). BAY CITY, SL (1st May, 2013) - In May of 2008 the Linden Department of Public Works unveiled its first project, the themed city area on the Second Life™ Mainland known as Bay City. Now, as Bay City turns five, its community invites everyone to join us in celebrating this milestone. Anniversary celebrations kicked off at noon on Sunday, the 19th of May, with a parade lineup at the bandshell in Bay City - Harwich. The parade will made its way down Route 66 and concluded at the Bay City Fairgrounds in the North Channel region. A live concert kicked off at the Fairgrounds, and featured Christov Kohnke, CelticMaidenWarrior Lancaster, and RoseDrop Rust, and including GoSpeed Racer of KONA Stream providing music leading into the event. 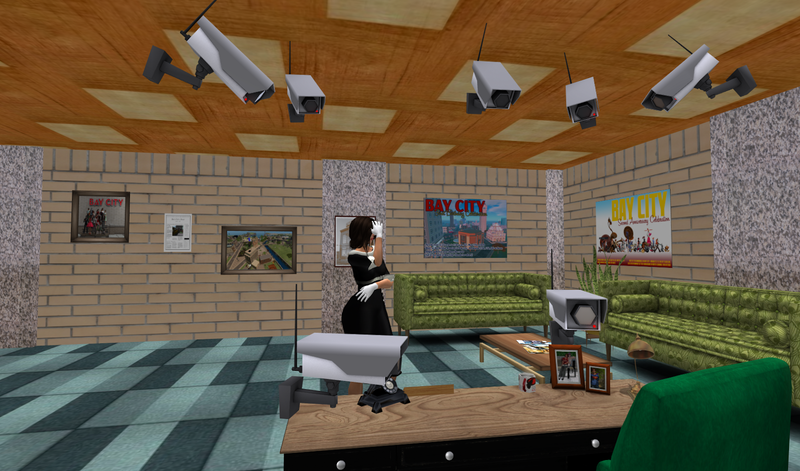 We had a big crowd of Second Life residents participating. Celebration goods were available at the Bay City Community Center, and there were numerous people along the route cheering on participants. A BIG thanks to all those that helped make this year’s celebration a BIG success…. Our great entertainers: GoSpeed Racer, Christov Kohnke, Celticmaidenwarrior Lancaster, and Rosedrop Rust ! Marianne McCann for such a terrific build and all her work organizing this event! Our parade leaders and helpers! Linden Labs for building this fine city! The LDPW and the Moles for making it super special! Wonderful bloggers, writers, and photographers for spreadin’ da word! All our friends and neighbors for coming out! Thank YOU and Happy Anniversary Bay City!!!! Second Life turns ten this month. Yes it’s true, and this party is going to be a whopper! This year, there will be 20 sims cram-packed with art, exhibitions, information, and events. Bay City has their own display with a new exciting build courtesy Marianne McCann. Look for event announcements in the Bay City Alliance group notices and come on down to greet and represent! What is "Espresso Yourself?" It's a chance to take your spot on the stage and share. Tell a joke, share your poetry, read a chapter from your favorite book, sing a song. Just share! Voice or Text. No mimes. Talent not required, but passion is mandatory. The Pen, located in the heart of Bay City - Mashpee! Overheard in Harwich was the owner Ms. Sylvia Tamalyn saying: “I just don't get it!”. Hope she didn’t get all lathered up trying to clean the mess. Here's wishing Sylvia, and all the folks at the R Pub lots of good luck! An unknown assailant wickedly vandalized the Post office last weekISH by defaming the pictures of our oh so-so very refined Post staffers. Sadly, we had to take drastic measures and totally randomly rezz security cameras around the Hyperbole Tower where the Post is now located. Don’t let this happen to you! -and now for my singing pleasure….. 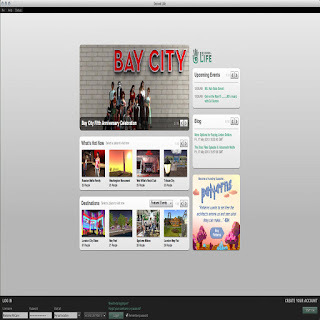 Yes the new Bay City Post blog at: Bay City Post goes completely viral (and by viral we mean somebody besides me musta looked at it) with over 100 hits (and by hits we mean mostly me hitting refresh as I figure out how to post things) as the new blog has been quite a sucess. Go see for yourself. Really… go now! I mean it NOW (the next article is pretty dumb anyhow). Enjoy! vick.forcella Sun. I'm told it still is around somewhere. I just want to look at it and feel it's warmth. rachel.seelowe I am wishing and hoping for some Loller Coaster action! uccello.poultry I agree with Sylvia about Mari's fireworks. Also in SL, I plan on hitting more beaches. Nothing planned for RL.